If you’re on city or well water in West Texas, chances are the in-home water analysis is FREE*. Culligan has been serving the Amarillo area for over 60 years. You cannot serve a community for that long unless you take care of your customers. These days it seems like nothing of value is free. Learning what’s in your water at no charge does sound too good to be true. However, here’s why we have a free water analysis. It’s much cheaper for us to test your water and give you the proper equipment the first time compared to if we had to go back to correct it. The loss not only in our time and labor, but in goodwill, would far outweigh our costs involved with a water test in your home. With the Do-It-Yourself mentality in most areas, if we started charging for a water test, we fear that too many people would get caught going with an ineffective solution that doesn’t fully take care of their needs. After all, what good is water treatment if it isn’t designed to handle YOUR water? Every once in a while we run into some very aggressive water that requires a more thorough lab analysis. When that occurs, there will be an additional charge to cover that service but we’ll explain all of your options up-front. Your water will get sent off to Culligan’s national water testing facility where over 10,000 water samples are tested every year. Culligan will provide us with a detailed 3-page report of your water and also make available their engineering staff to make sure you are getting the best solution available. Amarillo's water is so bad I think everyone should have a water softener, but most of all the under-the-sink (for drinking water) should be required! 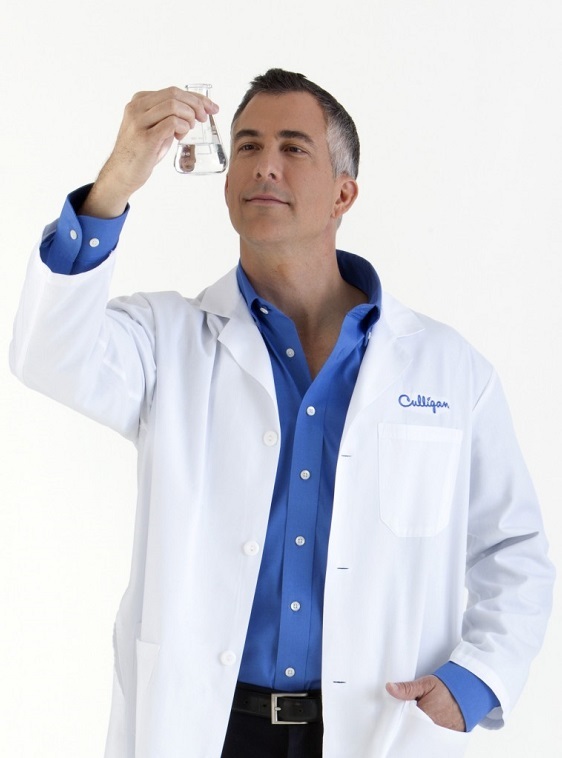 We couldn't enjoy drinking water without Culligan! We even use it for our pets and to water plants. Spot-free rinse makes cars look good and saves us time.